It’s been a long time coming but China Mobile is finally picking up Apple’s iPhone line after upgrading to a 4G LTE network. With pre-orders set to kick off at any moment, the world’s biggest carrier is gearing up to sell the latest iPhone models, and it looks like one China Mobile location already has its iOS devices out on display. 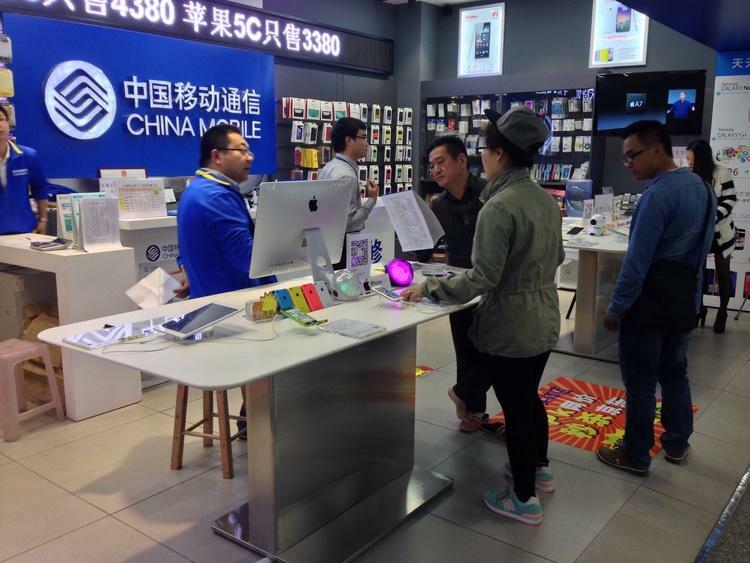 China-based blogger PRC and ME stepped into a brick-and-mortar store in Shenzhen to find almost half of the space was suddenly devoted to Apple products. 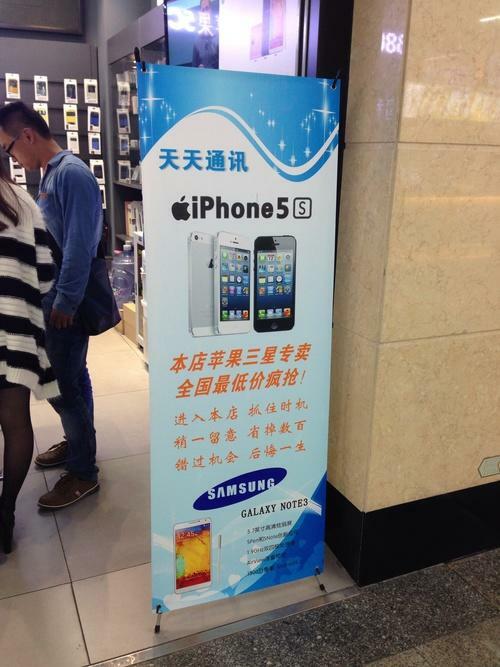 The display featured the iPhone 5s and 5c for 4380 Yuan (about $723) and 3380 Yuan ($558), respectively. The store also had several iPad models out in addition to Apple ads and a TV screen showing Phil Schiller introducing the A7 chip during a recent press event. 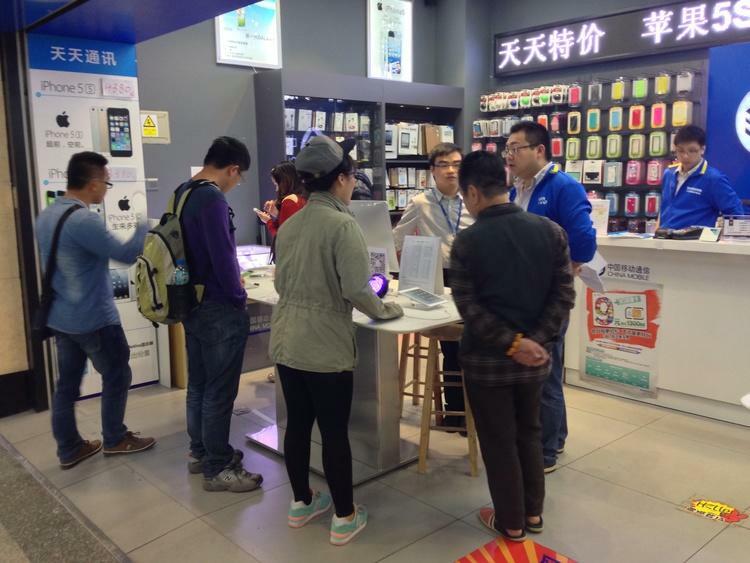 We know we’ve said it before, but China Mobile picking up the iPhone 5c and 5s is a big deal for Apple. Cupertino has struggled to gain a foothold in the rapidly growing market, where a mix of Samsung devices and homegrown handsets still dominate. But with the country’s biggest carrier clearly preparing for an iOS product shopping blitz, Apple’s already-lucrative holiday shopping season is about to get even better.